Ashok Dinda (Bengali: ???? ??????) is an Indian cricketer. He plays for Bengal in domestic cricket and Royal Challengers Bangalore in the Indian Premier League. Earlier he played for Delhi Daredevils, Pune Warriors India and Kolkata Knight Riders. Dinda, born in a Bengali Hindu family, hails from the village of Noichunpur, near the district headquarters Tamluk of East Midnapore district. Dindas talent was spotted by a coach in Kolkata after bowling a few overs in the nets. The coach, Atal Dev Burman, asked him to stay back and hone his talents. Dinda stayed at Burmans house for four years and honed his skills at the Russa United Cricket Coaching Centre in Tollygunge. After a stint with Kalighat club and the Australian Institute of Sport, he made his first-class debut for Bengal in the 2005-06 season. He was a regular member of the side that reached the final of the Ranji Trophy the next season, although his performance with the ball wasnt that impressive, with 16 wickets in eight matches at 54.56. He was a late addition to the Kolkata Knight Riders squad for the inaugural season of the Indian Premier League in 2008, and shone in the league opener in Bangalore. In September he was awarded a place in the Rest of India squad for the Irani Trophy - a match meant to include Test probables for the Australia series, the following month. Ashok Dinda was named in the Israel-bound India A squad which played three limited-overs match against the Israel. Dinda was selected in the side on the basis of his impressive performance in the Indian Premier League. 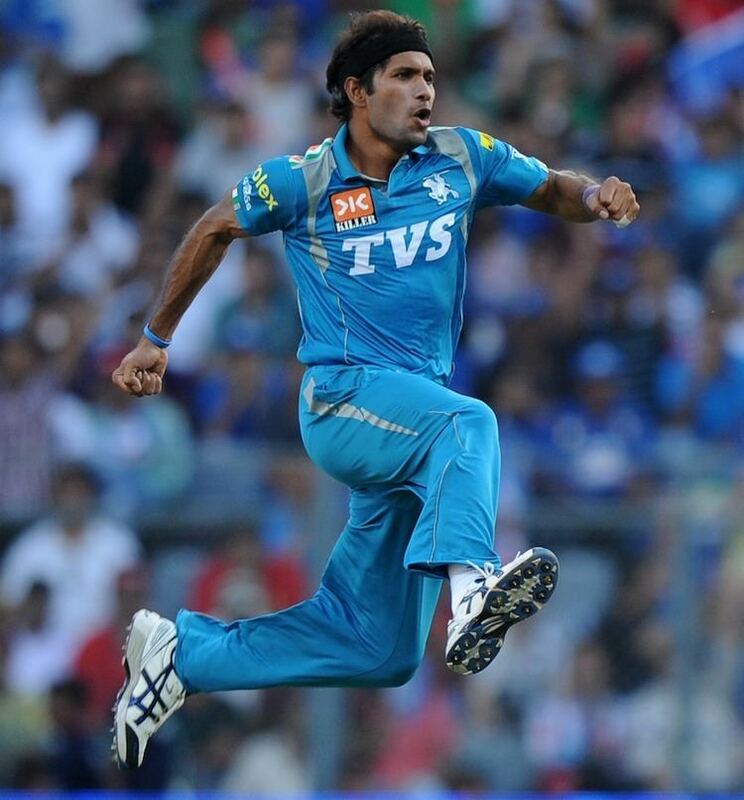 In the 2012 edition of the Indian Premier League, Dinda joined the Pune Warriors India franchise. 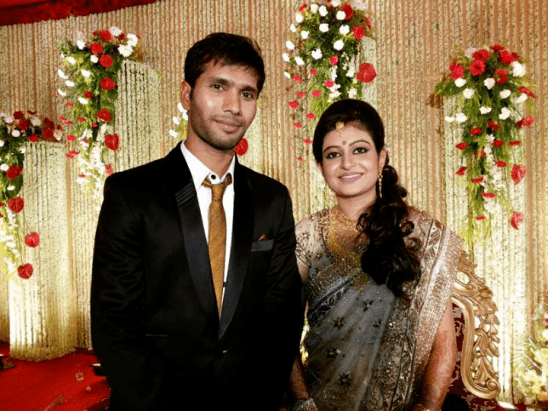 On 22 July 2013 he got married to his girlfriend Sreyasi Rudra,a software engineer by profession and graduated from JIS College of Engineering Kalyani. He played his first T20 international for India on 9 December 2009 against Sri Lanka at Nagpur. He took the wicket of Sanath Jayasuriya. He ended up with figures of 1/34 in 3 overs. While batting, he scored 19 runs off 20 deliveries before being bowled by Tillakaratne Dilshan. Dinda made his ODI debut against Zimbabwe in June 2010. He bowled 7.4 overs and took 0/49. He was picked for the 2010 Asia Cup squad in Sri Lanka. However he played only one game in that tournament, a group stage match against Sri Lanka, in which he ended up with figures of 0/39 in 5 overs. Dinda, after impressive performances in the 2011–12 Ranji Trophy, was selected in the 15-man Indian squad for 2012 Asia Cup.Dinda impressed the BCCI by his performance in the ODI series against Sri Lanka.In the one and only T20 match against Sri Lanka this August, Dinda took 4/19 at Pallekele. His performance clearly indicates his good cricket signs and his talent to remain in Indian team. Though he has repeatedly been sidelined in the national team with the rise of Umesh Yadav, Varun Aaron, Praveen Kumar, yet Ashok has continued rendering service to his state & zonal teams. He took 2/85 and 7/26 against South Zone at Visakhapatnam in the Duleep Trophy 2012-13 semifinal. The wickets in 2nd innings included the wickets of international players like Abhinav Mukund, Robin Uthappa, R.Vinay Kumar and talented players like Manish Pandey, R.Prasanna, Stuart Binny, Amit Verma to reduce the hosts to 85/8.However in the match between Mumbai Indians and Pune Warriors India On 13 April 2013 he went on to equal the most no of runs given by a bowler .